Early in his first epistle, John states clearly to the Church that, although through Christ our sins are forgiven, no Christian lives without sin. Salvation is not found through moral perfection, but through the sacrifice of God’s only Son. This truth is realized when the children of God strive to walk in the light of Christ. Sometimes we bear grudges. 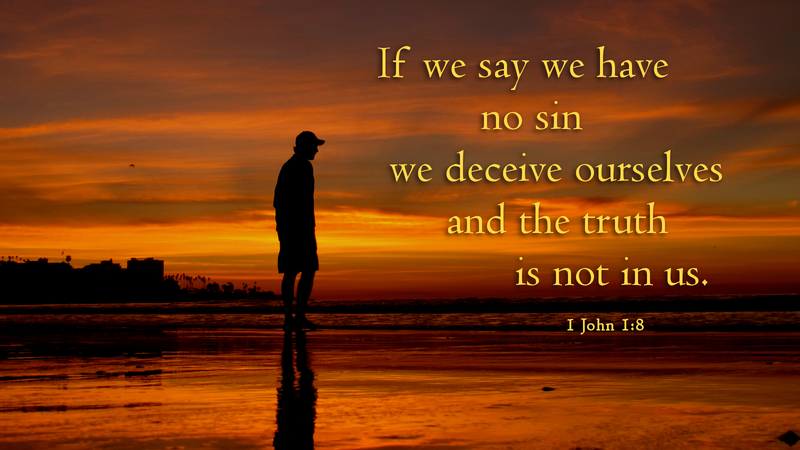 We remember the sins committed against us and are wary of the sinner lest they repeat the offense. Other times we fail to realize how our actions hurt someone else. John teaches us that people who practice such behavior really do not understand the concept of grace. If we claim forgiveness through Jesus, but cannot forgive others or confess our sin, we are not walking in the light of Christ. The best we can do is stumble in the darkness. John reminds us who we are, people who have known the Father. Knowing the Father means knowing the Son, through whom we are forgiven. So too are we to forgive as we have been forgiven. This is the truth that is in us. Prayer: Holy God, help us to live in the light of Christ, forgiving others as you forgive us. Amen. This entry was posted in Forgiveness and tagged Christianity, Confession, Faith, Forgiveness, Heavenly Father, Light of Christ, Repentance, Salvation, Spirituality. Bookmark the permalink.